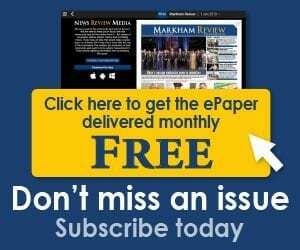 There is something about the sound of thunder that gets your heart beating quickly, and the sound of Markham Thunder had the same effect during the recent announcement that Markham will have its own top-notch women’s hockey team. 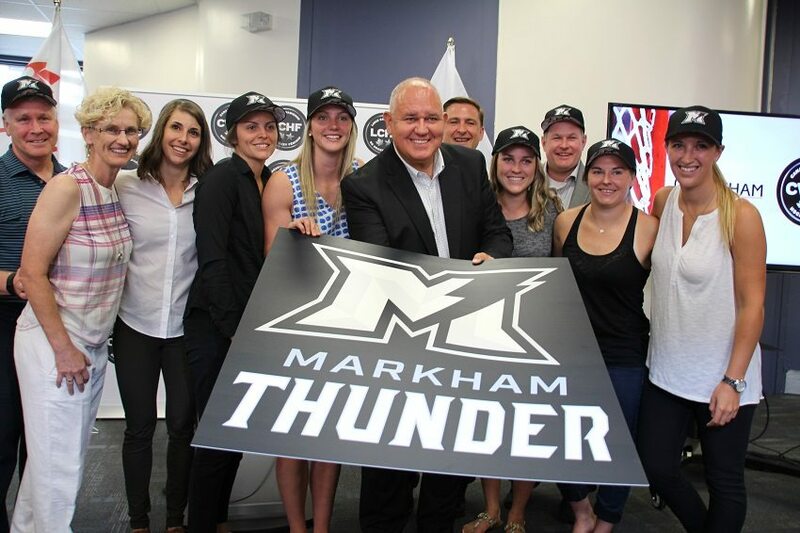 The Canadian Women’s Hockey League (CWHL) Commissioner Brenda Andress and Mayor Frank Scarpitti gathered at the Thornhill Community Centre on July 11 to announce the relocation of the CWHL’s Thunder hockey team from Brampton to the City of Markham. The team will officially relocate to the City of Markham’s Thornhill Community Centre for the 2017/18 hockey season. The Brampton Thunder hockey team, established in 1998, is the longest running club in the CWHL. The Thunder played in the National Women’s Hockey League for nine seasons, winning the Championship in the 1998-99 season and then again in the final season. The Thunder have been home to several great Olympians including Jayna Hefford, Vicky Sunohara, Cherie Piper, Gillian Apps and Lori Dupuis. This exciting news follows the June CWHL’s announcement that the Kunlun Red Star will be joining the league this fall. In June, the CWHL announced a historic five-year deal that will see the Kunlun Red Star (KRS) based in Shenzen, China, join the league for the 2017-18 season. KRS will encourage the growing interest in hockey and female sport in China in advance of the country hosting the Beijing Winter Olympics in 2022. Through this partnership, KRS aims to have an immediate impact on growing the interest in hockey, more specifically in women’s hockey.